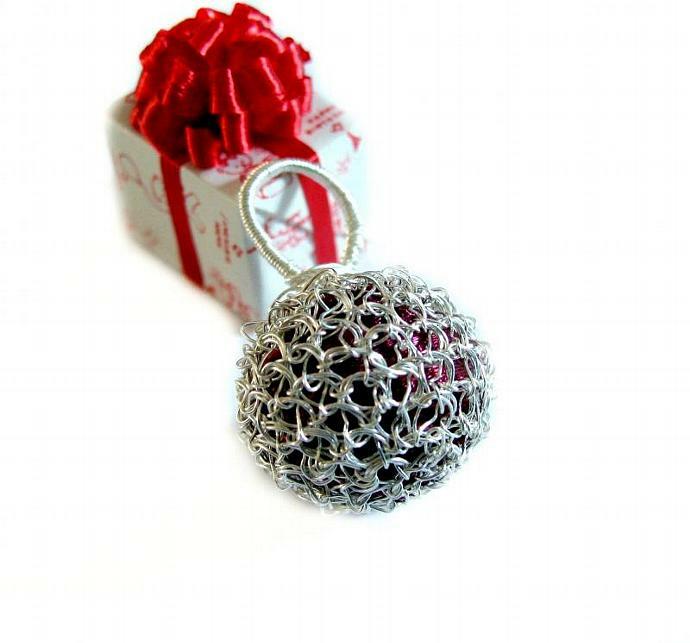 A Christmas ornament? A toy? 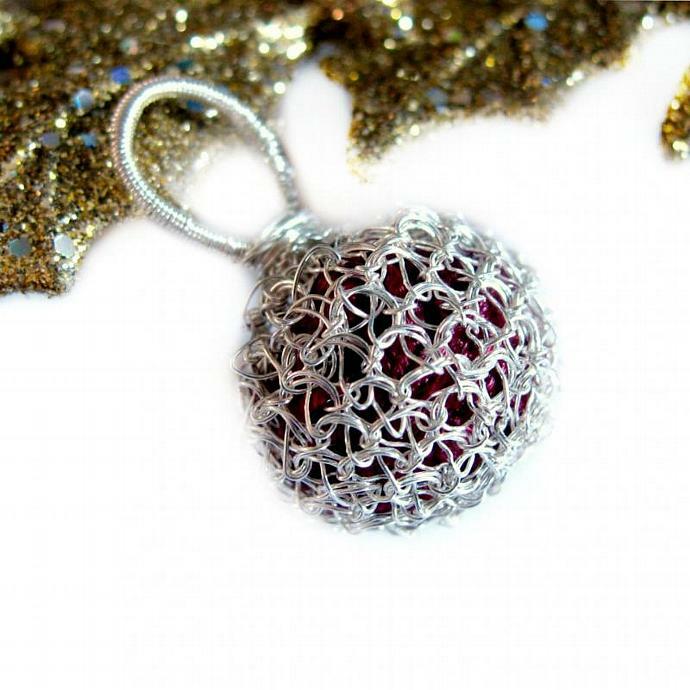 A pendant? All of it? 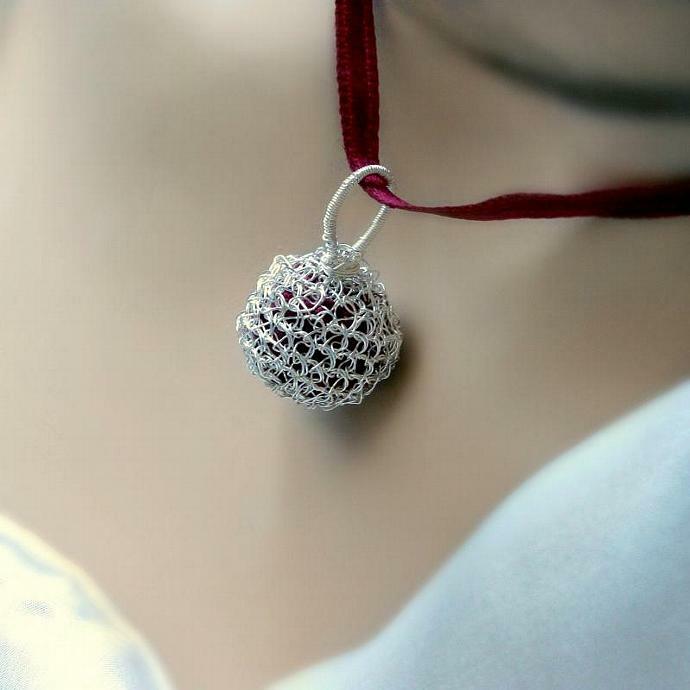 This pendant is crocheted from fine silver wire and has been filled with dark red satin ribbon which is peeking through the gaps. Whatever you may see in it, is in your imagination. 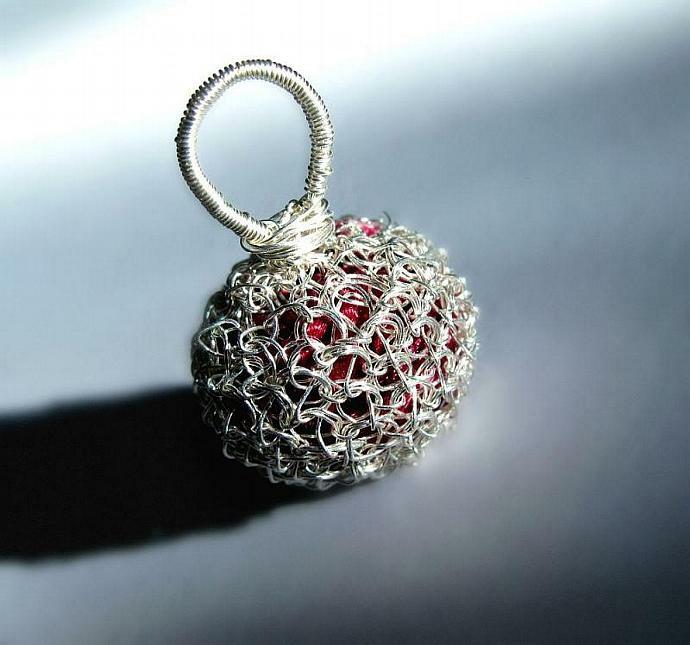 Including the hand wrapped bail it is 1 inch or 2.7 cm high. It doesn't come with a chain, but as seen in some pictures with a satin ribbon that can be tied in the back. If you like the design, but prefer a different colored filling, send me a message.